A Woman Reunites With A Gorilla After 12 Years. What Happens Next Will Tear Your Heart Up. 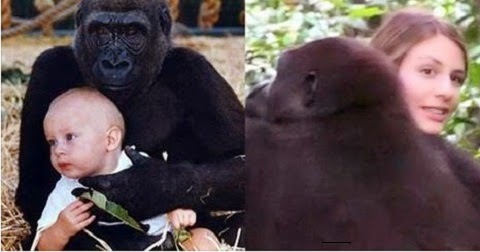 In this heart-touching video a woman named Tansy and her father went for a trip to West Africa in order to reunite with their beloved gorillas Djalta and Bimms which they raised and released in 2003. For 12 entire years they have not seen them, so they decided to travel half way around the world in order to meet them. Watch the video below and see how the gorillas react when they finally reunite with their old friends. Be sure to SHARE this amazingly beautiful encounter with your friends and family.